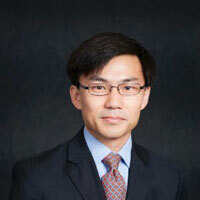 Alan Y. Cheng is the Principal of City-As-School (CAS), one of the oldest alternative schools in New York City. CAS is a nontraditional academic high school that serves over 700 students, ages 17-22, through highly structured internships and interdisciplinary course offerings. The school targets students who do not thrive in a traditional classroom learning environment or are at risk of dropping out of school. Prior to becoming the principal, Alan was an Assistant Principal, an Internship Coordinator, a School Data Specialist and a Mathematics and Science teacher. In 2005, he was awarded a five-year Math for America Fellowship. Before joining City-As-School, he was a Legislative Fellow for the U.S. Senate Education Committee, where he worked on the reauthorization of NCLB and Federal Pell Grants. He has also served as a Curriculum Fellow at the Graduate School of Management at Cambridge University, UK and a Research Scientist at Lawrence Berkeley National Lab. Alan holds a MS in Technology and Public Policy and a MS in Civil and Environmental Engineering from the Massachusetts Institute of Technology and a MA in Mathematics Education and MEd in Education Leadership from Teachers College. He is also a graduate of the National IEL Education Policy Fellowship Program and the Columbia University School Law Institute. Alan received his BE in Environmental Engineering and AB in Engineering and Art History, with honors, from Dartmouth College.